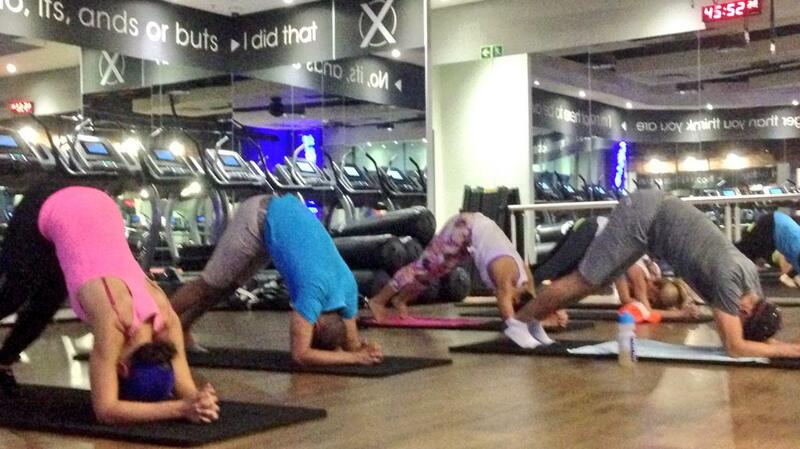 There is a new gym in town, (well in Norwood Mall in Johannesburg at least). And I went out to the launch of the MovementX #XMarksTheSport this past weekend. I was under the impression that it would just be a 'normal' launch event with a welcoming speech, some trainers working out int he gym and a few healthy snacks. Little did I know that we would be experiencing the full MovementX workout program. I was a little bit nervous. Okay, wait. I lie, I was very nervous. I am not the avid gym bunny like many other guys my age out there. I mean yes, I do go to gym and I do workout, but it's not a heavy workout that I put myself through that leaves me sweating profusely and my body aching for days afterwards. A little bit of background info on what this 'MovementX' is. I am sure that many of you reading this will have started gym in early January after making that New Years resolution. And now it is March and when last did you actually go to gym? Yes. I too get bored of doing the same old routines at gym and using the same machines and before you know it, the monotony takes its toll on you and you find yourself no longer going back to get that body of a Greek God that you so envisioned yourself having when you made that New Years resolution. The thing with MovementX is that every routine is different. Every time you are able to eXplore all the practices and find the one that best suits you. But don't think that in doing so, you are going to get it easy. You still end up challenging yourself, your body and your mind and you don't get bored. And who said changing things up doesn't work? The AerobiX class was actually quite a bit more intense than I had envisaged. I do have a new found respect for Jane Fonda and all those aerobics videos that my mother had. Here you use light weights in order to maximise results. This was really fast paced and I think would be a great way way to workout if you have limited time and need a full body workout with maximum benefits. Next up we went straight into the BoXer workout. This was another cardio session which basically involved making use of boXing techniques on the boxing bags and pads with some different and exciting cardio drills. I can already see some of you are worried about keeping up, but this class has been designed as to accommodate the beginners and those on a more advanced level and will boost strength, improve your balance and co-ordination. 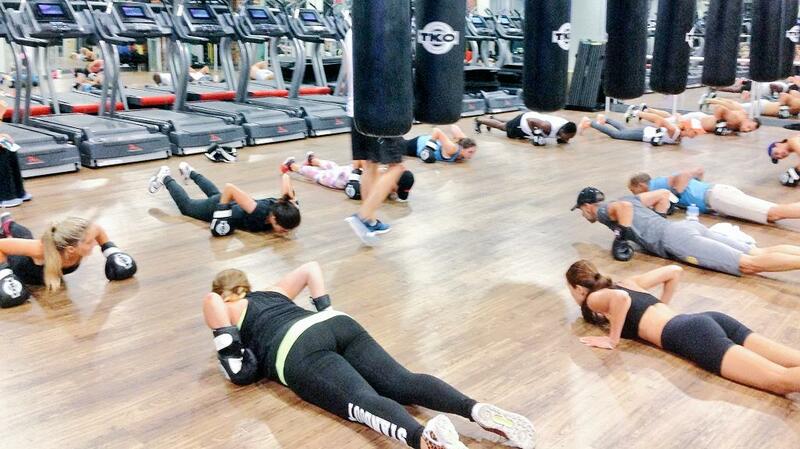 I could definitely feel my upper and my lower body working whilst doing push ups and punches. Once again, you have a professional trainer there to instruct and to motivate you as you keep pushing yourself to exceed your own body's limits. Now to tone things down a bit. The BarreX is a full body workout where you make use of a ballet barre. Now I sense that some of the guys reading this are probably thinking that they would never make use of a ballet barre to exercise as it is not manly enough or that you would never get a full workout from using this. Honestly, if that is the way you are still thinking in this day and age, then you would need to reconsider and think again. These moves are there to test your strength and ability to hold positions that are sometimes a little bit uncomfortable and you can feel those muscles in your legs and arms burn. This class is pretty much perfect for those who want to strengthen and tone their bodies. Again, I must mention that since the class is so small, the trainer is able to give you some personal and individual attention where they can correct your movements and positions as to maximise your workout and ensure you benefit the most from 1st to 5th position. Following this we had an AXis session, which comprises of mostly Pilates exercises which are perfect to help build strength and tone the body. Now to enter 'Zen' mode as I called it. The FleX. 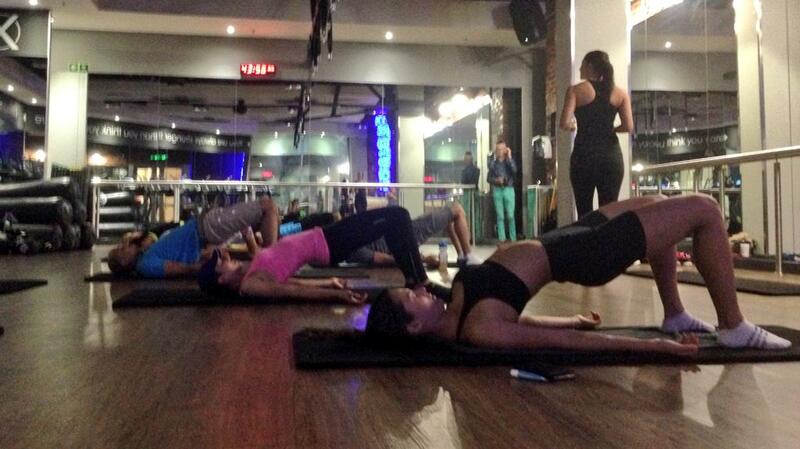 This was the Yoga session. The instructor creates a tranquil environment with soft and harmonious music and sounds echoing through the studio for you to find a space in your mind where you can relax. You are taken through every position slowly and told exactly how to move and when to move (perfect for a beginner like me) as to get the maximum benefit from session. Anyone that knows and understands Yoga, would know that by doing Yoga, you essentially improve your flexibility and strength as every position you move into stretches all muscles. This is sure to improve your muscle tone, respiration, energy and vitality. Once you leave that studio, you feel as if you are at a higher level of relaxation and tranquility and even revitalised. I could actually write so much more about my experience of the gym and the sessions that we had. But you can check out all the classes they have on offer here. Never have I experienced exercise like this. At the same time as being an intense and full body workout, I had actually enjoyed it and had fun. Yes, my body was sore and I could most definitely feel that I had exercised my entire body in that studio, but the 1.5 hours we were busy went by in a flash. I could feel that everyone who had done the sessions with us had loved the exercise and that they were all charged up after getting all that adrenalin pumping. And what would a gym session be without a delicious and healthy smoothie or juice freshly prepared right there at CafeX as you leave the studio? They have a wide variety of hot beverages, the best and biggest range of rooibos beverages I have ever seen on a menu. The smoothies. Well, they are all made with fresh fruits right there on the spot at CafeX. From "Green", Pineapple, Berries and Peanut Butter, it is all on that menu. The freshly squeezed juices are amazing and you can even have your own creation freshly prepared by choosing your own fruits to mix together. For those needing something to feed the hunger, CafeX prepares fresh Protein Pancakes, to which you can add some berries and honey. Now what would a gym bar be without those workout protein shakes. At CafeX you can get your Pre and Post workout shakes as well as flavoured protein shakes. Basically you can get anything you need for your gym session right there at the door of the studio at CafeX. Check out the menu here. Don't believe me? I suggest you go check it out for yourself. 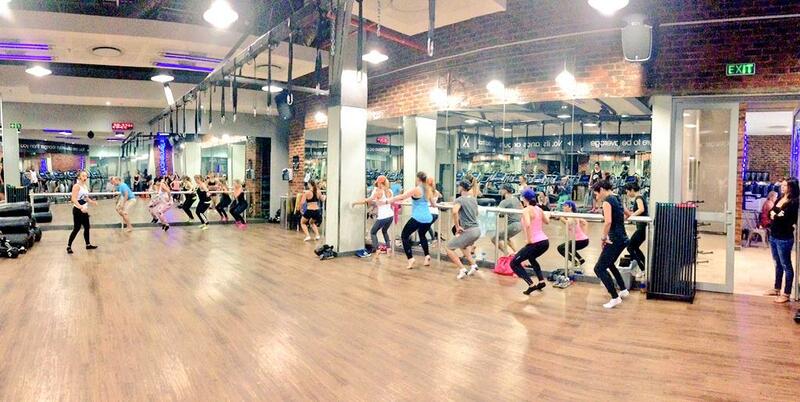 MovementX is now moving nationwide with studios in Umhlanga, Bedfordview and Norwood. Check out the website at www.movementx.co.za and suss things out if you are still unsure or get in contact with them on the Facebook page - MovementX to check their daily updates. 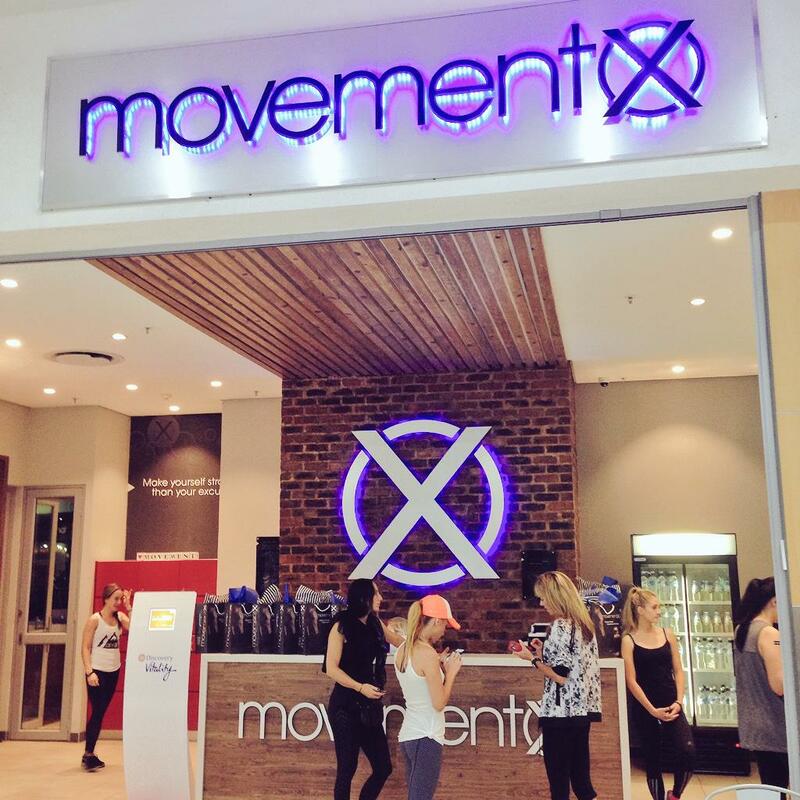 If you have twitter, I suggest you give @MovementX_SA a follow and see what they are up to. All in all... This was a great day! And even now a few days later whilst writing this, my legs are still stiff and my arms are tender to the touch. I can say, that this was most definitely a successful day at the gym. And I'm suggesting that you go and have a look and experience any of the sessions yourself.